Software teams implement DevOps in different ways whether they’re starting from scratch or transitioning from Waterfall practices. Also, what works for small teams doesn’t tend to scale well, especially in large enterprises building and maintaining different types applications. 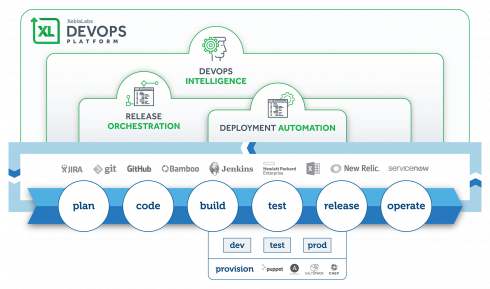 XebiaLabs enables DevOps at any scale so software teams have the flexibility they need to use their favorite tools and methodologies while the enterprise gets the visibility, reporting, analytics and auditing capabilities it needs. Gartner’s recent Application Release Orchestration (ARO) Magic Quadrant the Forrester Wave for Continuous Delivery and Release Automation (CDRA) both recognize XebiaLabs as a leader. Equally impressive are what large enterprises are able to accomplish with XebiaLabs. For example, multinational banking financial services company Societe Generale reduced its software delivery cycles by 45% while lowering operating costs by 10%. Satellite company Digital Globe reduced the time it takes to launch a satellite from three years to one year. Meanwhile, GE Power Systems reduced the cost of delivering software to production by 45% in less than six months. Other customers include Bank of America, Toyota and TD Bank. And, following a year of 100% growth, XebiaLabs just received $100 million in Series B funding. 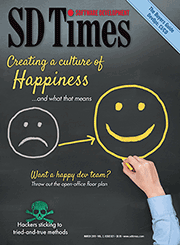 Enterprise and individual software team requirements shouldn’t conflict, but they often do. Different software teams use different tools which can prevent the enterprise from getting the breadth and depth of visibility and tracking capabilities it needs. To enable that, XebiaLabs complements whatever tools and architectures individual teams use while enabling a consistent approach to DevOps. Without an orchestration layer, a lot of time and money is wasted. Similarly, XebiaLabs supports the breadth of application types from monolithic Java applications that rely heavily on traditional SQL databases to 100% cloud-native serverless AWS Lambda functions with API endpoints that have no SQL backend. The flexibility allows organizations to evolve their tools and processes at their own pace, as well as adopt new tools, processes and methodologies with higher levels of confidence. Software stakeholders are technical and non-technical in large enterprises. If the entire DevOps process is written in scripts, it’s hard to translate that into something meaningful which non-technical and less-technical stakeholders can use to provide value. With XebiaLabs, enterprises don’t have to make trade-offs. Its ease of use makes it accessible to anyone regardless of their skill set. At the same time, developers can maintain continuous delivery pipeline components as code artifacts.